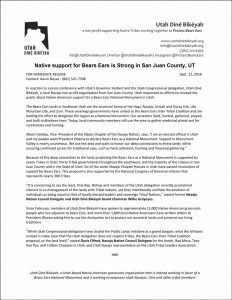 In reaction to a press conference with Utah’s Governor Herbert and the Utah Congressional delegation, Utah Diné Bikéyah, a local Navajo non-profit organization from San Juan County, Utah responded to efforts to mislead the public about Native American support for a Bears Ears National Monument in Utah. The Bears Ears lands in Southeast Utah are the ancestral home of the Hopi, Navajo, Uintah and Ouray Ute, Ute Mountain Ute, and Zuni. These sovereign governments have united as the Bears Ears Inter-Tribal Coalition and are leading the effort to designate the region as a National Monument. Our ancestors lived, hunted, gathered, prayed, and built civilizations here. Today, local community members still use the area to gather medicinal plants and for ceremonies and hunting. 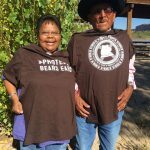 Because of this deep connection to the land, protecting the Bears Ears as a National Monument is supported by seven Tribes in Utah, thirty Tribal governments throughout the southwest, and the majority of the citizens in San Juan County and in the State of Utah. Six of the seven Navajo Chapter Houses in Utah have passed resolutions of support for Bears Ears. This proposal is also supported by the National Congress of American Indians that represents nearly 300 Tribes. “It is concerning to say the least, that Rep. Bishop and members of the Utah delegation recently proclaimed interest in co-management of the lands with Tribal nations, yet they intentionally conflate the positions of individuals as being equal to that of locally elected leaders and sovereign Tribal Nations,” stated former Navajo Nation Council Delegate and Utah Diné Bikéyah board Chairman Willie Grayeyes. 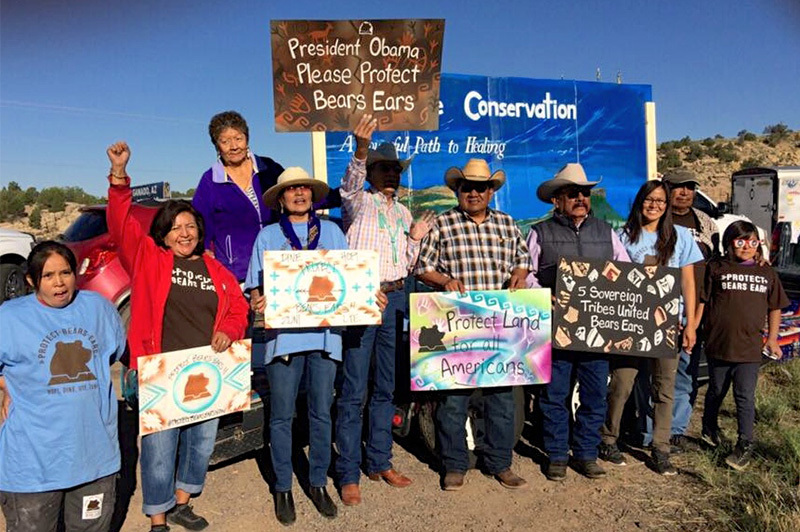 Since February, members of Utah Diné Bikéyah have spoken to approximately 12,000 Native American grassroots people who live adjacent to Bears Ears, and more than 1,800 local Native Americans have written letters to President Obama asking him to use the Antiquities Act to protect our ancestral lands and preserve our living traditions. “While Utah Congressional delegation have touted the Public Lands Initiative as a grand bargain, what the bill does instead is make clear that the Utah delegation does not respect Tribes, the Bears Ears Inter-Tribal Coalition proposal, or the land itself,” stated Davis Filfred, Navajo Nation Council Delegate for the Aneth, Red Mesa, Teec Nos Pos, and Tolikan Chapters in Utah, and Utah Navajo representative on the Utah Tribal Leaders Association. Click on the image below if you would like to see a pdf of the official press release.